A typical rental agreement usually contains a variety of terms and conditions, including an end date. Ideally, you should find another home and make moving arrangements timed according to your current lease's termination. But you might need to stay in your current residence slightly longer than your end date, due to circumstances such as closing on the purchase of a new home or the timing of availability of another rental. In this instance, many landlords are willing to extend your rental lease to accommodate your situation. Check your current lease for specifics about potential extensions. If the terms are included, evaluate whether you are able to comply with the conditions mentioned before moving forward with your request. Keep in mind that your credibility as a tenant will play a large role in the outcome of your landlord's decision to allow you to remain in his property for an extended length of time. Write a letter. Even if the original lease does not state specifics regarding extensions or renewals of the contract, the standard procedure is to send your landlord a letter explaining the reasons you are requesting a lease extension. Be sure to include the length of time you are asking to stay in his property, and assure your landlord that you will continue to abide by the same terms and conditions stated in your original lease, with the exception of date changes. You can find a sample letter on free-legal-document.com. Compose an extension agreement. Many free sample templates for rental lease extensions can be found on websites such as docstoc.com or freebies4ya.com. If you are drawing up your own extension contract, be sure to include specific dates and any new provisions of the lease. If the conditions other than the dates are identical to the original lease, make reference to that fact in the extension agreement. Sign and date the lease extension document. 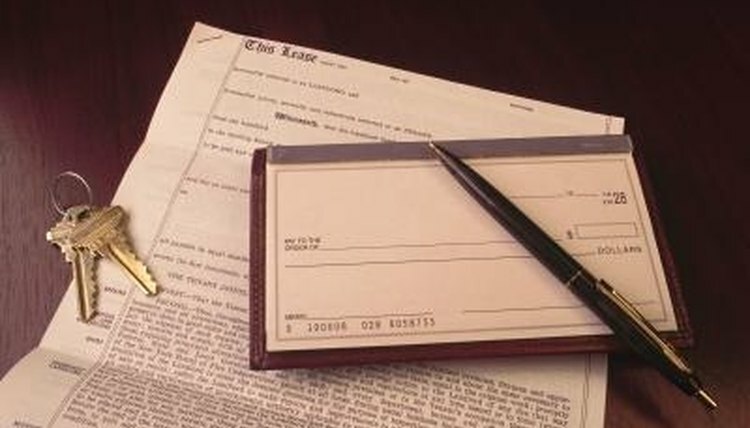 Dating the papers is a technicality that can protect you if a legal dispute arises involving the extension. Once signed by both parties, this is a legal document that ensures you have the right to remain in the landlord's property until the date stated in the agreement. Cunningham, Tonya. "How to Extend Rental Lease." , https://legalbeagle.com/5864484-extend-rental-lease.html. Accessed 18 April 2019.